I have a simple card for you today! Just so you all know, I will "probably" not be doing videos this week :( It is "uncle sam" time & I need to finish up my tax stuff! I am TRYING to be done by tomorrow! FINGERS CROSSED~! Okay, but I did make a quick card for you earlier today! ~ I added the ribbon & the flair button last~! Love your chevy card Emma!!!!! 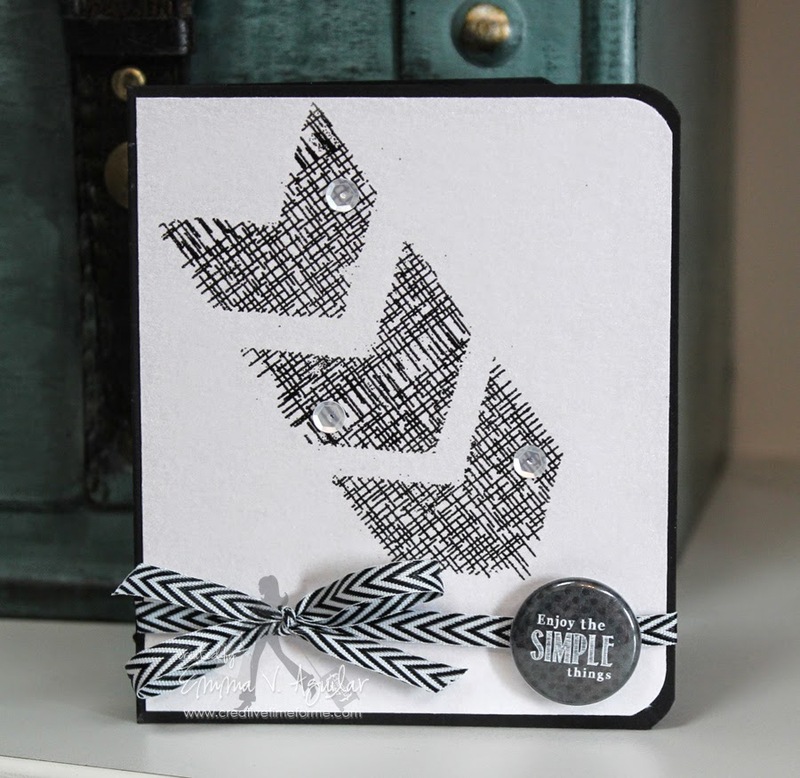 WOW Emma, your card is so cute, what a great way to use that stamp. Love all the Designer's projects. Loved the look of your card:) Very cleaver, I would love to see a video of this technique whenever you get a chance, sorry visual learner lol. Good luck with uncle Sam:) DT thanks for all the inspiration! LOVE your card Emma!!! The black and white are so super SHARP!!! I love the masking and burlap stamping for the chevys. The ribbon is perfect for your card. You and your fabulous Design Team had some great projects today. So much fun to see. Emma ~ I just LOVE this card! 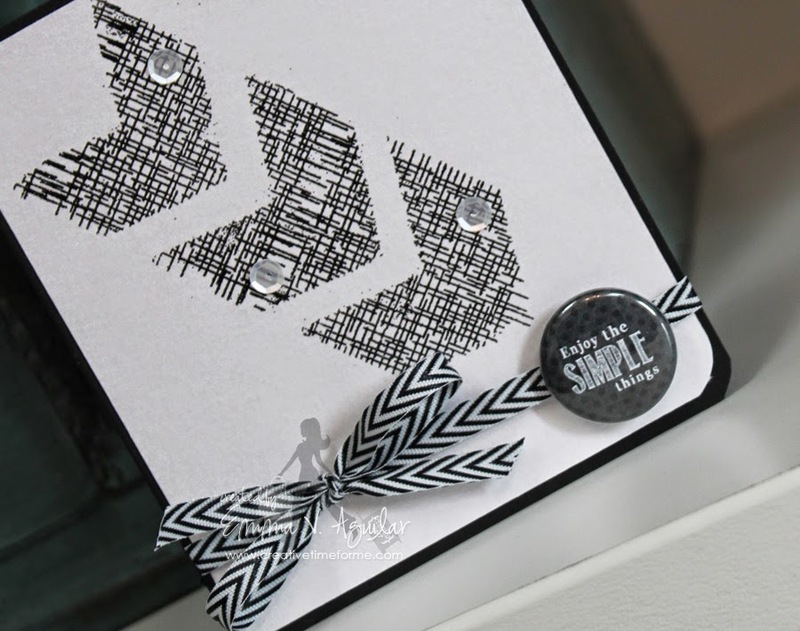 LOVE how you did the burlap with those chevron dies! EEK! Then the touch of flair and oh my FAVORITE combination ~ black and white! Well LOVED this challenge for us ladies and the team did an AMAZING job! What a pretty card Emma! !